Commemorative program celebrating Salem Baptist Church's 135th anniversary. 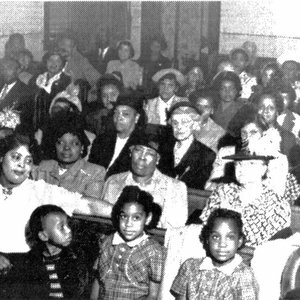 Newspaper clippings, photographs and church programs documenting Salem Baptist Church throughout its history. Each pdf file contains a different segment of Ms. Hoskins' files on Salem Baptist Church. Clippings file on Salem Baptist Church at the Champaign County Historical Archives. Includes clippings from the Courier and the News-Gazette, as well as clippings from church programs and special events. Commemorative history of Salem Baptist Church written to celebrate the church's anniversary in 1993. Commemorative history of Salem Baptist Church written in 1976 to celebrate the church's 110th anniversary. Split into five sections to accommodate access. Commemorative history/scrapbook of Salem Baptist Church in Champaign, Illinois. Produced to celebrate the fiftieth anniversary of the Church's current building.